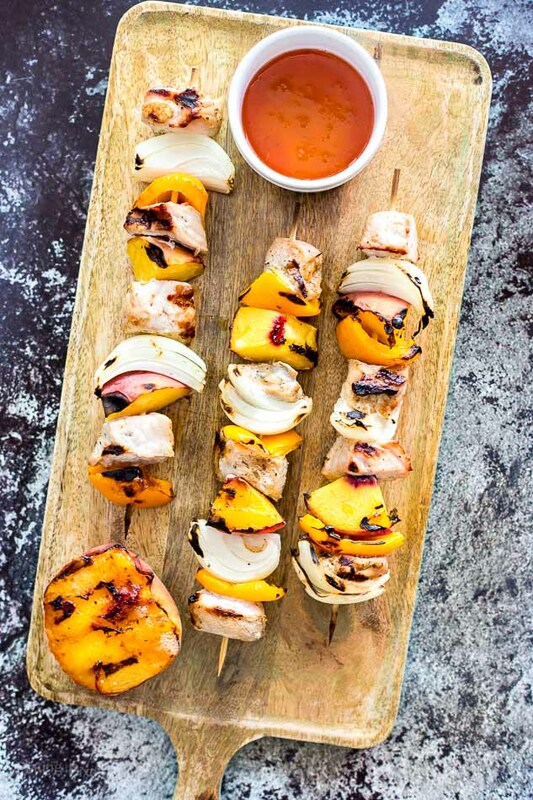 Quick and easy Grilled Peach and Pork Kabobs. 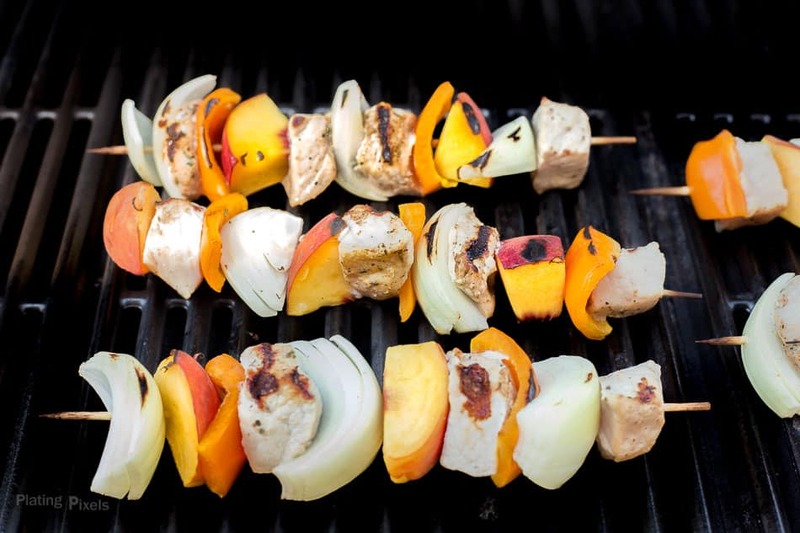 Pre-marinated pork loin, peach, bell pepper and onion chunks grilled on skewers. Dipped in a sweet and spicy apricot jam. 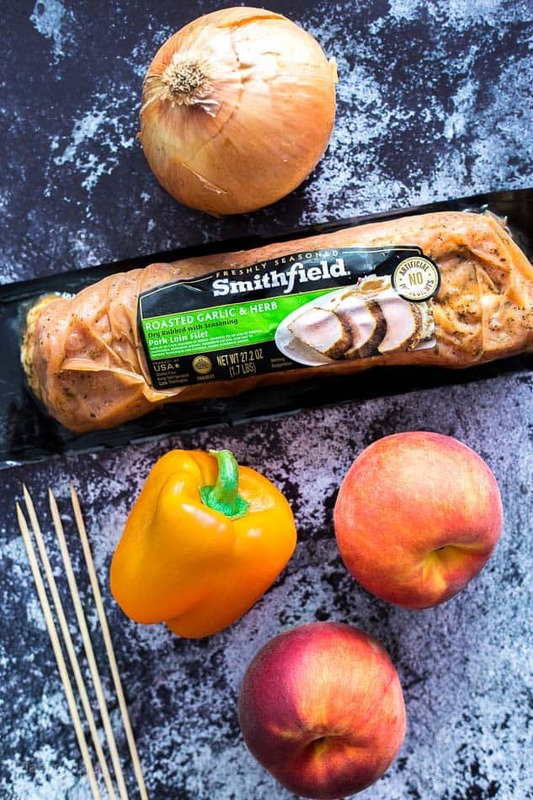 This is a sponsored post written by me on behalf of Smithfield Marinated Fresh Pork. The opinions and text are all mine. Summer couldn’t get any more official than grilling, and kabobs at that. This quick, simple and versatile favorite is an ideal way to cook almost any meat. The combination of flavors and ingredients can be endless. Mix and match veggies with meat and your favorite seasoning, marinade or sauce. 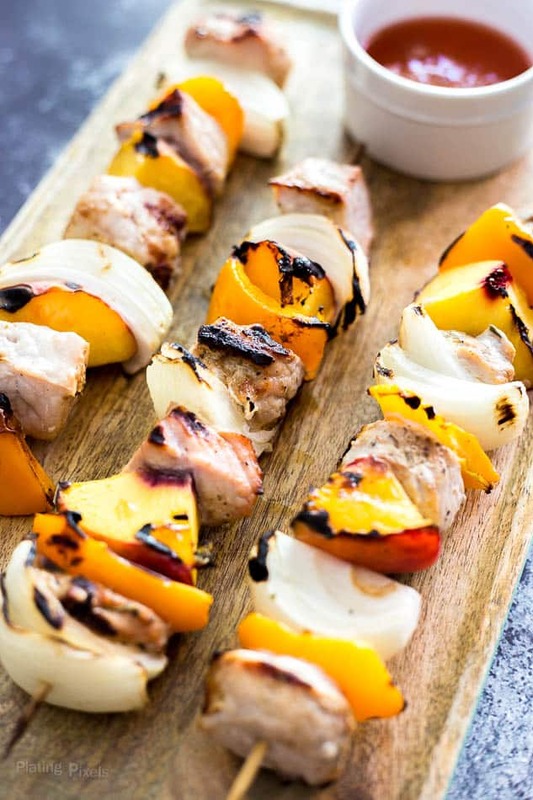 In the case of these Grilled Peach and Pork Kabobs, you can even add fruit. Peaches and stone fruits are a classic summer produce, which pair exquisitely with pork. The sweet and savory combo is enhanced even more once cooked on the grill. Char marks and smoky flavor creates a unique summer meal that’s ready in less than 30 minutes, including prep. Kabobs makes cooking meat and veggies fast. To save even more time and skip the marinade, I used Smithfield® Marinated Roasted Garlic & Herb Pork Loin Filet. Available at Lucky, it’s made from 100% fresh pork with no artificial ingredients. The prep work is already taken care of because it’s slow-marinated and perfectly seasoned in a variety of delicious cuts and flavors. Chopped into smaller pieces, it takes much less time to cook than the whole loin. That means these Grilled Peach and Pork Kabobs are on the grill and ready in about 10 minutes. Just be sure to cook the pork to an internal temperature of at least 145° F. The peach, bell pepper and onion pieces will be perfectly cooked and tender as well. Feel free to make these your own and try different veggies or additional stone fruit such as plums. It’s an entire meal or unique appetizer on a stick, full of protein and fresh produce. It’s also gluten free with only natural ingredients. They’re ready to go and full of flavor on their own. If you want to take it even further with the sweet and savory pairing, dip in a simple homemade sweet and spicy peach sauce. With just a few ingredients, a grill and less than 30 minutes you can make these Grilled Peach and Pork Kabobs any time. 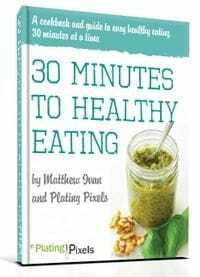 Perfect for a family weeknight meal, summer barbecue or potluck gathering. 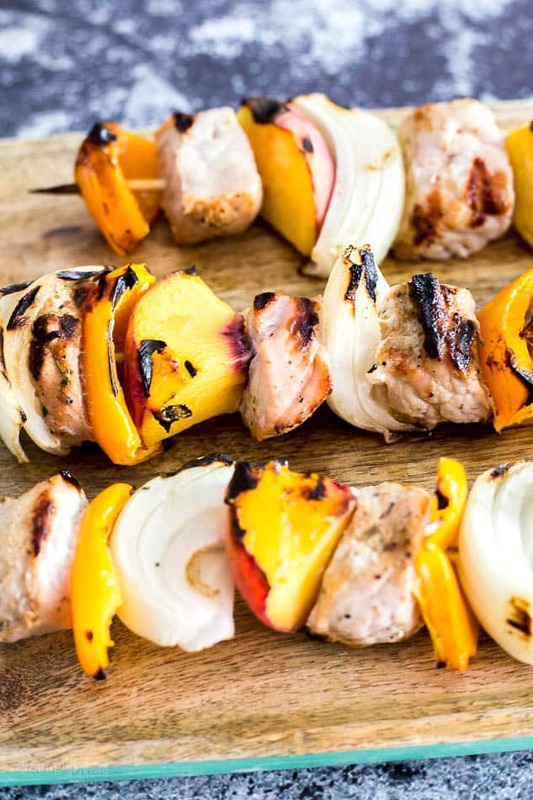 Pre-marinated pork loin, peach, bell pepper and onion chunks grilled on skewers. Dipped in a sweet and spicy apricot jam. If using wooden skewers, soak in water for 30 minutes to prevent burning. Preheat grill to medium-high heat, about 400° F.
Cut pre-marinated pork, peaches, bell pepper and onion into roughly 1-inch chunks. Place onto skewers, alternating ingredients until filled. Lightly grease grill grates and add prepared skewers. Cook 8-12 minutes, rotating as needed, until slightly charred. Fruit and vegetables will be tender and pork should reach an internal temperature of at least 145° F. Remove from grill and rest a few minutes. Meanwhile: Stir together jam and red pepper flakes, serve as dipping sauce. This looks awesome! 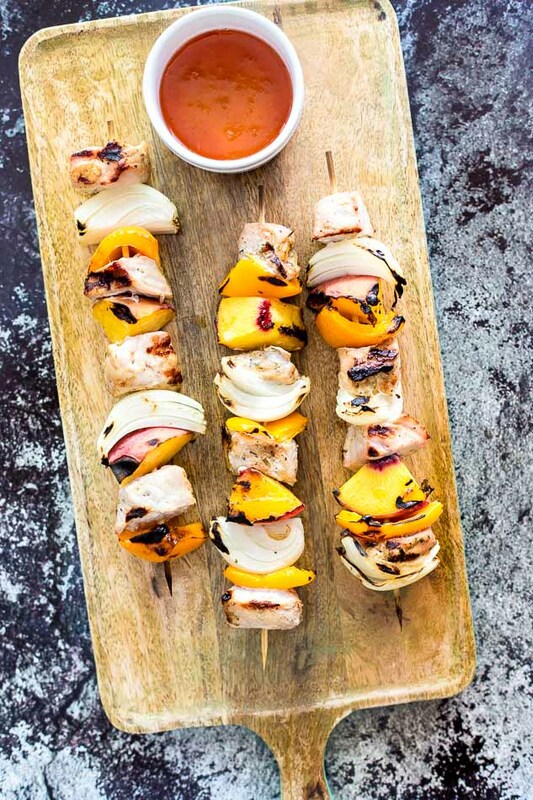 I’ve made a similar kabob combo with pineapple instead of peach, but I love the idea of including grilled peach with the pork, especially with apricot jam! Yum! We’ll be trying this one for sure!